Hutch Burns with a nice trout. Now, as I near the ripe age of 58, I understand what they meant. It only seemed like yesterday that the summer of 2018 began, and now the end is near. Fall is knocking on the door. 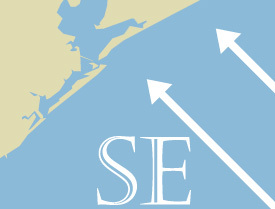 Galveston Bay is about to go into a transition period. September still might feel like summer during the day but slight changes in the air temperature will occur at night. The evening and early morning air will be slightly cooler and drier compared to the previous two months. This subtle change will begin to slightly lower the water temperature in the bay. 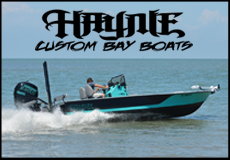 This will spark a movement of shrimp and baitfish from out of the back marshes and into the main bay. 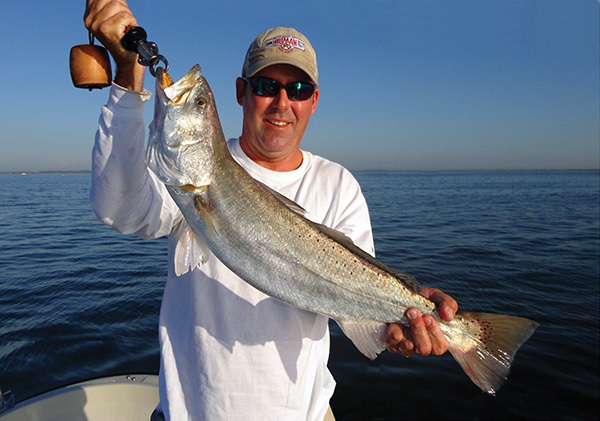 Speckled trout will transition themselves, no longer seeking the depth of deep water. The fish may remain around deep water structure but will be feeding higher up in the water column. Live shrimp fished under a popping cork 4-6 feet deep will be lethal on these trout, while the “croaker bite’ will slow down. Come October, we will see the “transition” in full swing. Passing cool fronts will lower the water levels and temperature even more, triggering a bigger movement of shrimp and baitfish from the back ends of Galveston Bay. Speckled trout will move to these areas to forage on what is exiting the marsh. 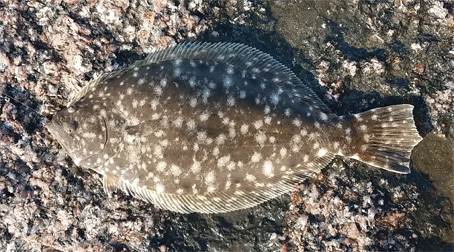 Flocks of seagulls will pinpoint the location of these fish when they are feeding. Don’t rule out drifting the reefs and structure with live shrimp under corks, keying on presences of bait and slicks in the area. Remember not all trout make this movement. 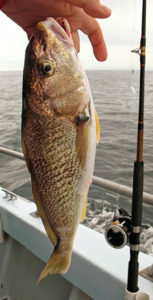 Depending on the weather and cool fronts, plenty of fish will still be caught in the areas you were fishing in August. 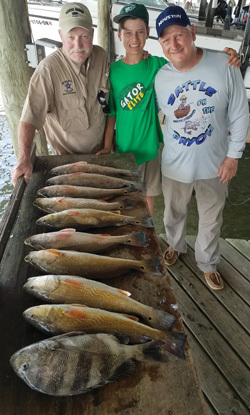 Eagle Point Fishing Camp will have a great supply of live shrimp. 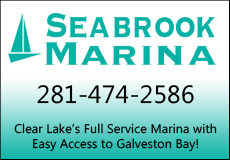 Those anglers in the Kemah, Seabrook and Clear Lake area can call 281-339-1131 to check on their bait supply. It has been a long hot summer but fishing remained good. I am looking forward to fishing these months and enjoying the cooler weather. The fish seem to bite through out the day, on any given tide. 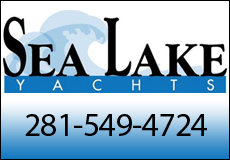 Take time away from your busy schedule and get on the water! 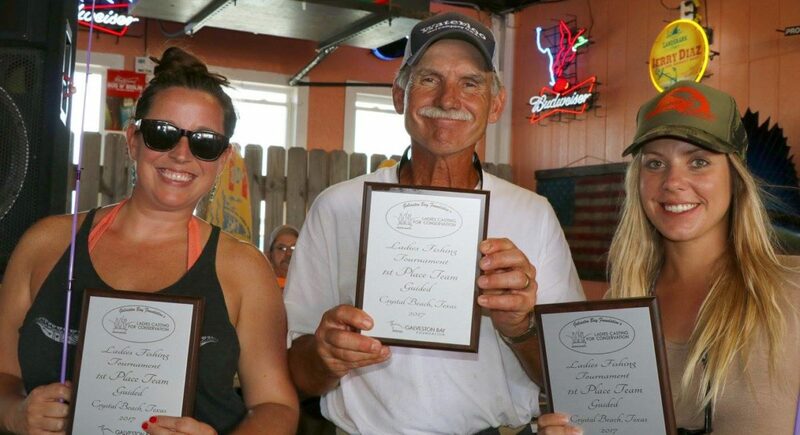 (From left to right) Colie Blumenshine, Bob Drisgill, and Kelly Groce took home 1st place Heaviest Stringer – Guided for the second year in a row at the 2017 Ladies Casting for Conservation fishing tournament. 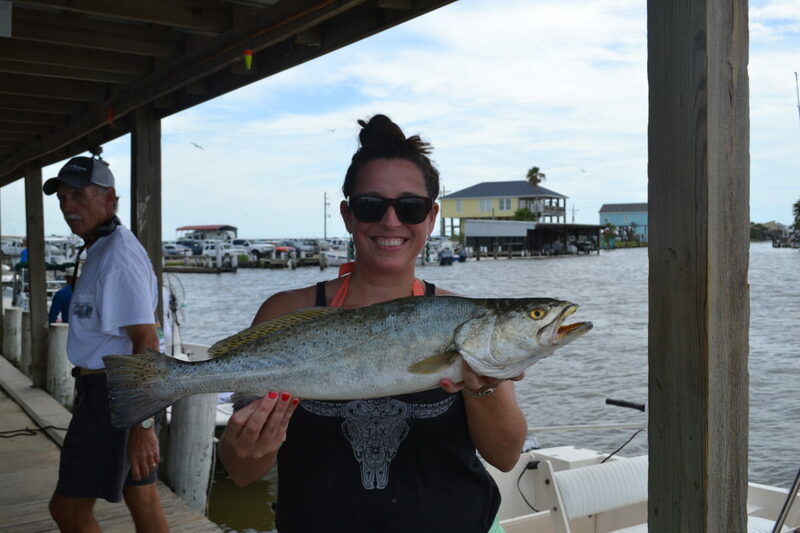 Gulf Coast Mariner Magazine’s team, Kelly Groce and Colie Blumenshine, took home 1st place Heaviest Stringer Guided at the Galveston Bay Foundation‘s Ladies Casting for Conservation fishing tournament on Saturday, July 22 at Stingaree Restaurant & Marina. 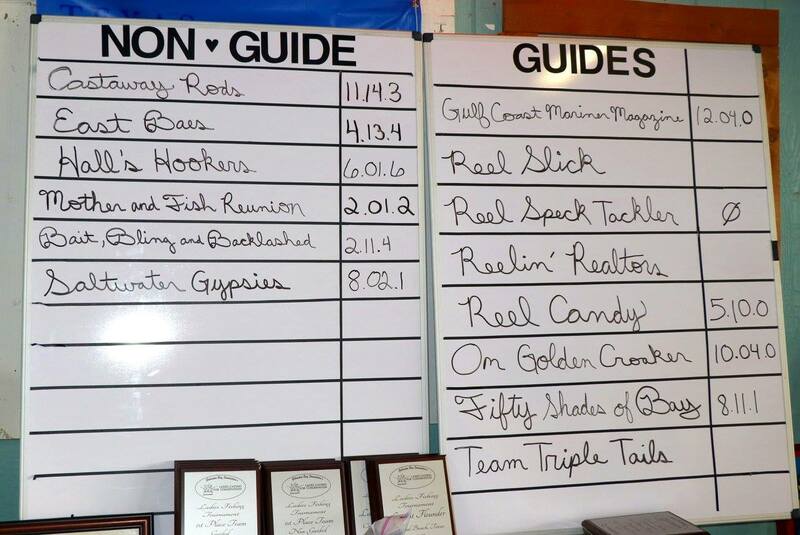 This is the second time in a row that these lady anglers have won 1st place heaviest stringer. 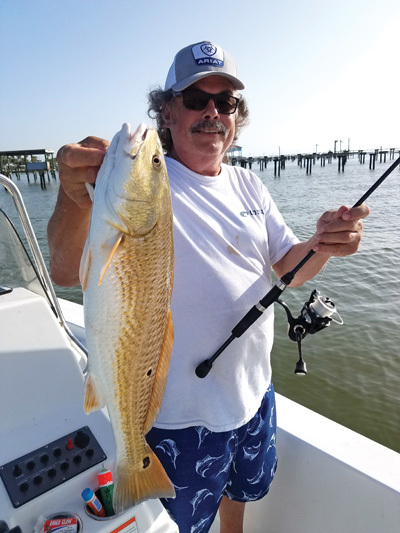 Bob Drisgill of Mangus II Charters was their guide again for this year’s tournament. The beginning of the day started out slow with storms brewing in the distance, but they managed to dodge all the rain. Around 10:30am things changed and they caught trout from 20-25 inches. Colie Blumenshine ended up catching her personal best trout which was 25 inches. 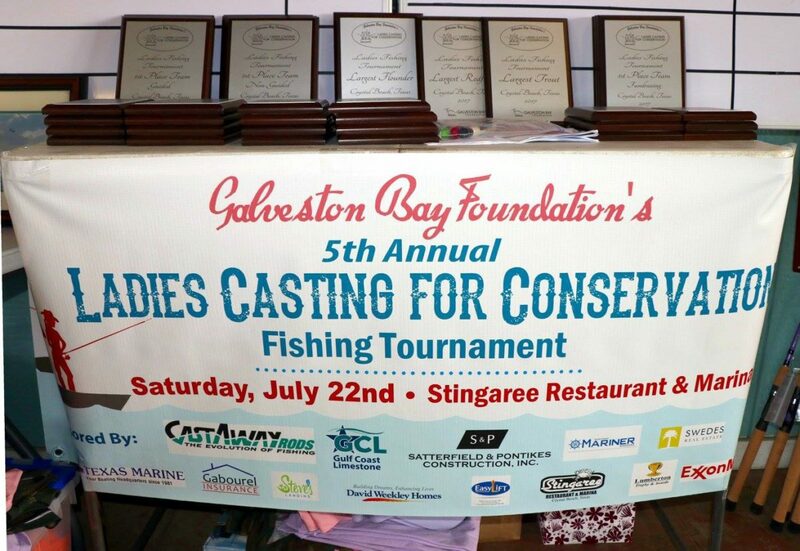 Ladies Casting for Conservation is a fun fishing tournament and also raises funds to keep our bay beautiful. We would like to thank the Galveston Bay Foundation and all the other sponsors of this tournament for putting on a great event. The ladies were especially excited about their new Castaway Rods that they won along with their plaque. 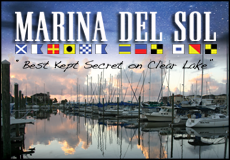 We at Gulf Coast Mariner Magazine are looking forward to being a sponsor and participating in next year’s tournament. Colie Blumenshine’s personal best trout, 25 inches. 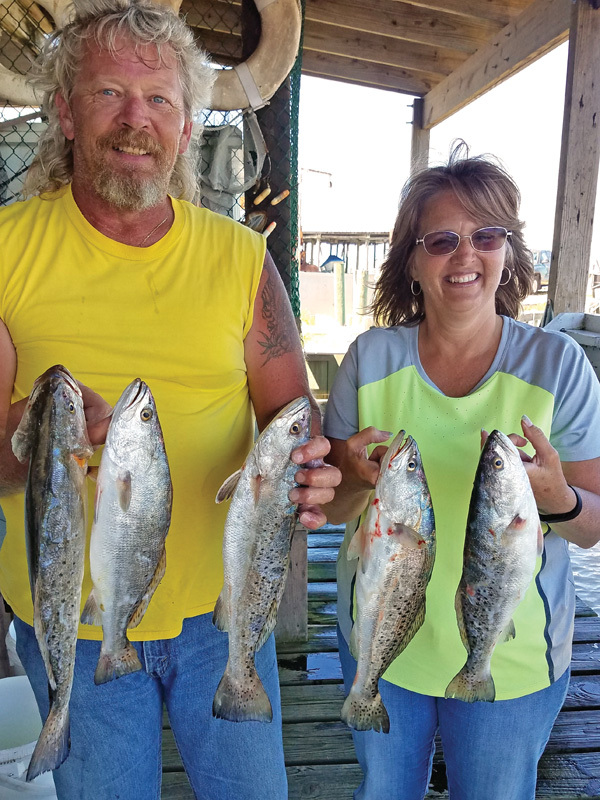 Wayne and Dena Davis caught some nice trout with Capt. Dillman despite high winds that day. Albert Einstein stated that “The only source of knowledge is experience.” When it comes to fishing, I firmly believe this quote holds true. 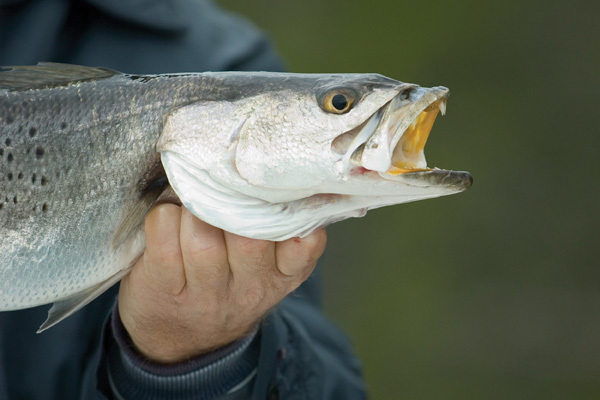 There are many written books, articles and even videos on how to catch speckled trout. Lots of that information is excellent and a great resource for gaining some knowledge about the sport. 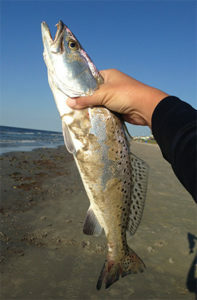 But true knowledge of how and where to catch speckled trout comes from years of experience pursuing these fish. 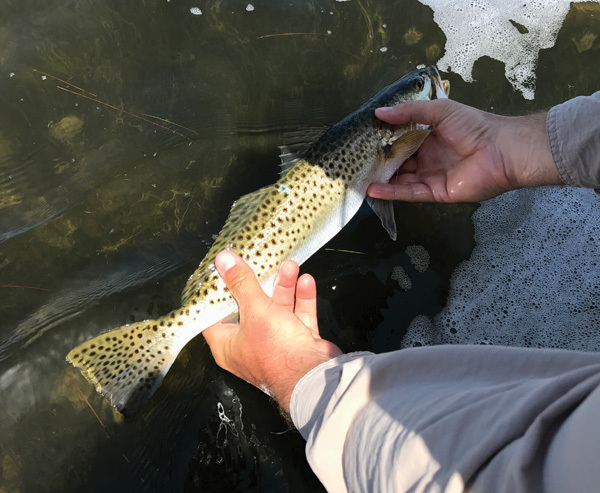 In my 30 years of experience guiding fishing trips, I am always asked “When is the best time to catch trout?” For the majority of people that fish, it all starts with the month of May. 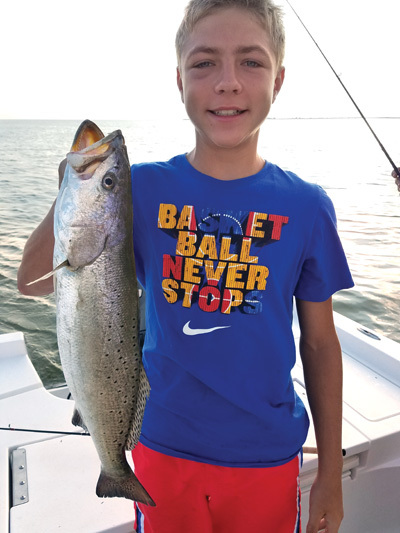 During the first week of May, there will be a movement of speckled trout into our bay system through the Galveston Jetties. They come from the beachfront and these fish are commonly known as “tide runners.” Do they all come at once? No, but the majority of “tide runners” come May and June. 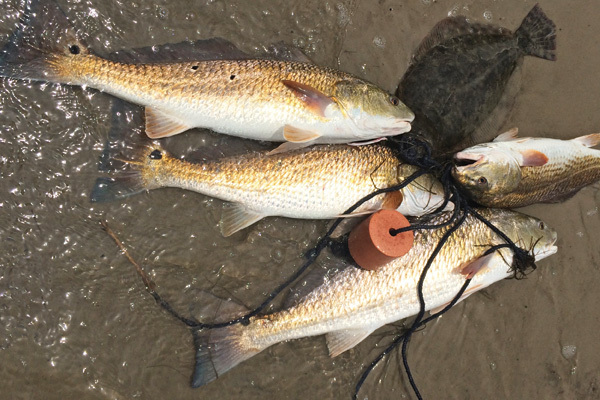 As they make their way up the Houston Ship channel, these fish split into three different directions. Some move east, others west, and some head straight up the channel depending upon the salinity of the water. 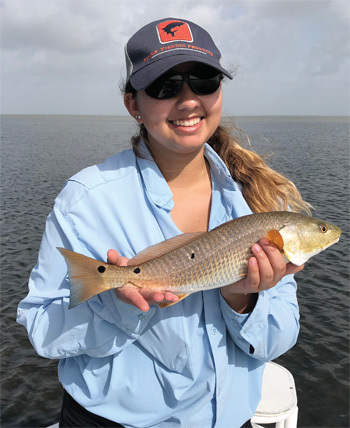 That is why you will read about the increase of catches in areas like Hanna’s Reef in East Bay, and the Dollar Point area on the Western side of Galveston Bay. 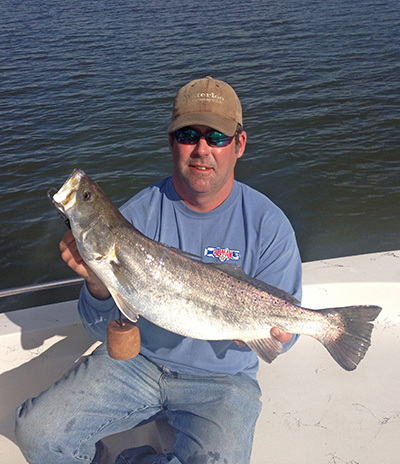 June arrives and so begins our summer fishing pattern in Galveston Bay. 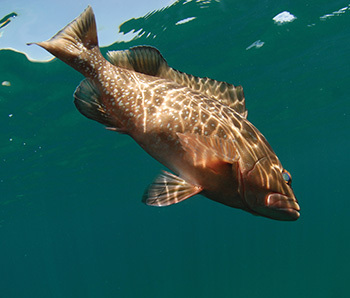 The trout begin to seek shelter of the deeper water shell pads located in our bay system. A majority of these “tide runners” can be found near the shell pads adjacent to the Houston ship channel from Markers 52-72. They will also filter towards the numerous gas well scattered in close proximity of the channel. With every incoming tide more fish will be pushed into this area. 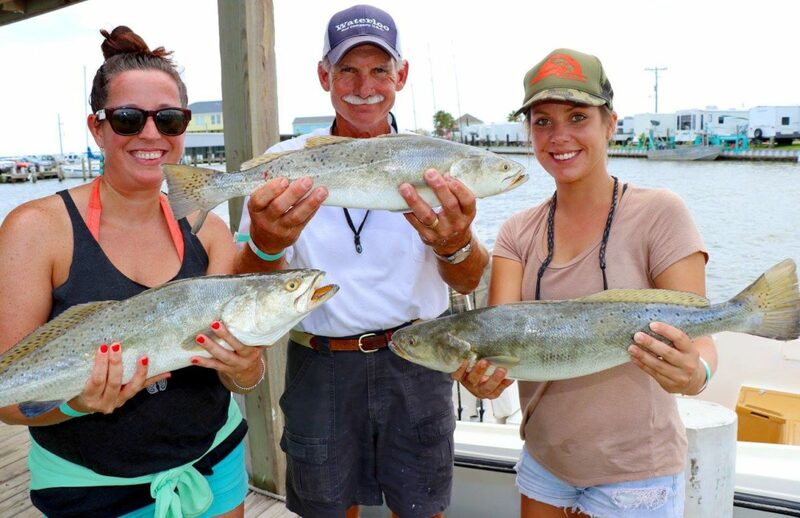 In my years of fishing the channel and observation, speckled trout use this area to stage and spawn. 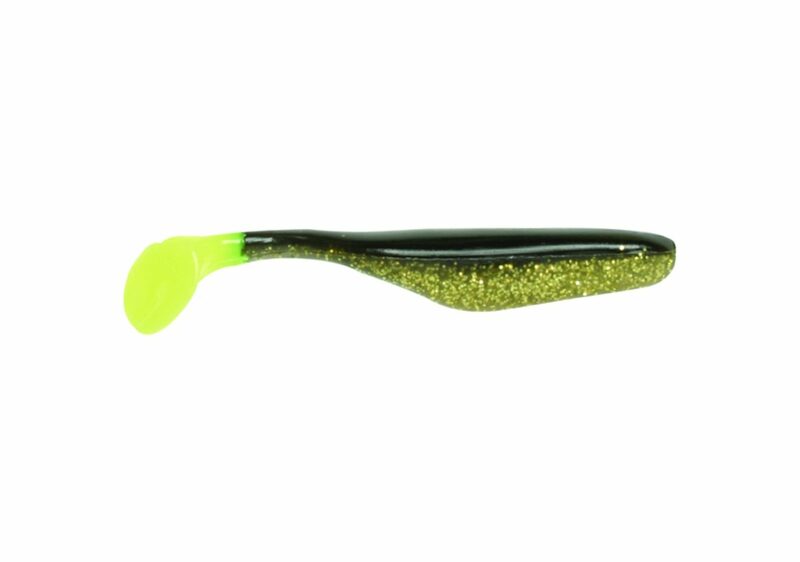 During this time of year, trout can be caught on a variety of artificial lures, but live baits seem to produce the better results. Live shrimp and croakers are the top two natural baits. Shrimp can be fished on the bottom or under a popping cork. 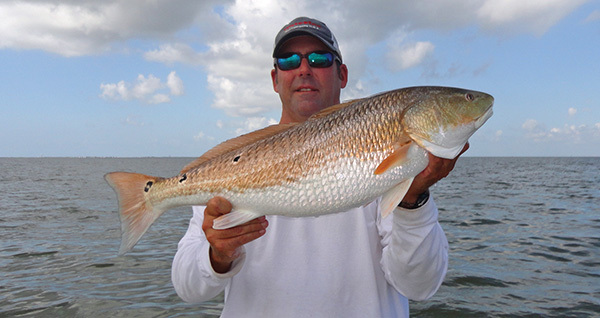 Croakers should be fished utilizing a carolina rig or Texas rig. Eagle Point Fishing Camp always has a great supply of both and has easy access to the above prime locations! If you want to gain further “knowledge” of these areas, I offer guided trips out of Eagle Point. Also orientation trips can be arranged where I go in your boat. 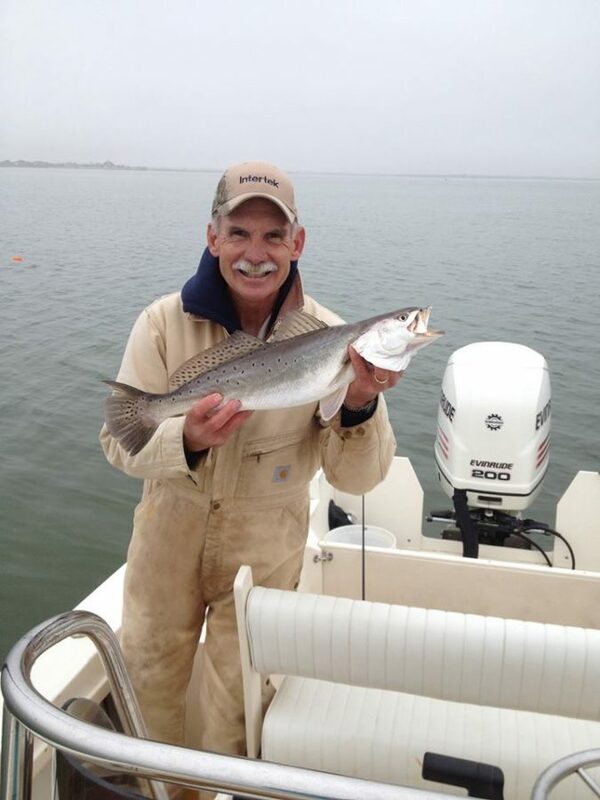 Get out and experience the great trout fishing Galveston Bay has and as always, be careful on the water. There is an old adage that 10% of the fishermen catch 90% of the fish. Well, while not statistically proven, the odds are that the old adage has a lot of merit. If you are one of those anglers who comes away feeling like everyone around you is catching fish while you are left with an empty or sparse stringer, hopefully some of these tips will help you join that exclusive 10% group that takes 90% of the fish. 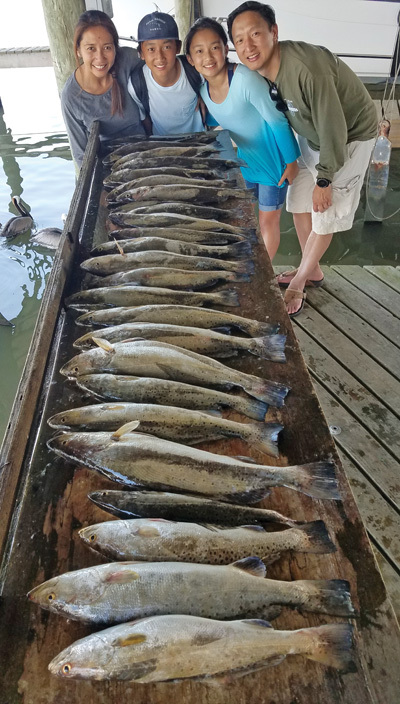 While actively guiding fishing trips, there were a number of things I observed that definitely handicapped my guests from catching many fish. Most likely the biggest obstacle was in casting skills. Other fishing guides agreed with me that if there was one big fault it was in the lack of being able to cast a bait to a target and at the same time avoid another big problem, backlashes. 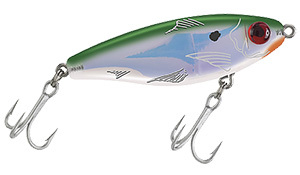 Good casting skills are imperative for fan casting or placing your bait precisely near structure or jetties. There are a number of other skills anglers need to address; however, accurate casting and controlling the line is at the top of the list. Casting skills take practice and the time not to practice is when on a fishing trip with others. Choosing a rod and reel you are comfortable using and is appropriate for where you are fishing is the first step. Practice, practice and more practice is the key to developing your skills in the art of casting. 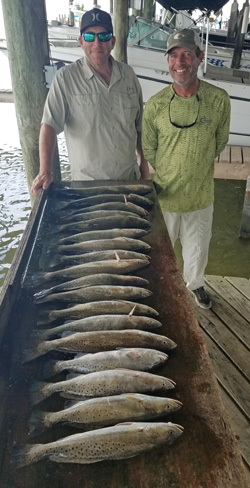 Once you have become comfortable with your choice of rod and reel and have developed control over where and how far you can cast, then attention can be given to a number of other problems that tend to plague those not bringing home stringers of game fish. Hook live shrimp under the horn. 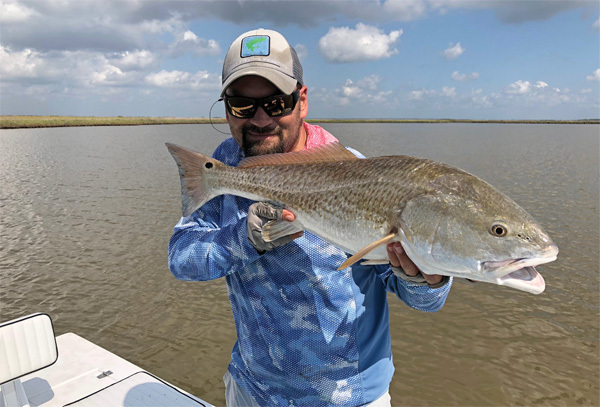 While space does not allow an elaboration on each of the following, using the wrong bait for the occasion, hook size and hooking live bait, especially shrimp, are key issues. 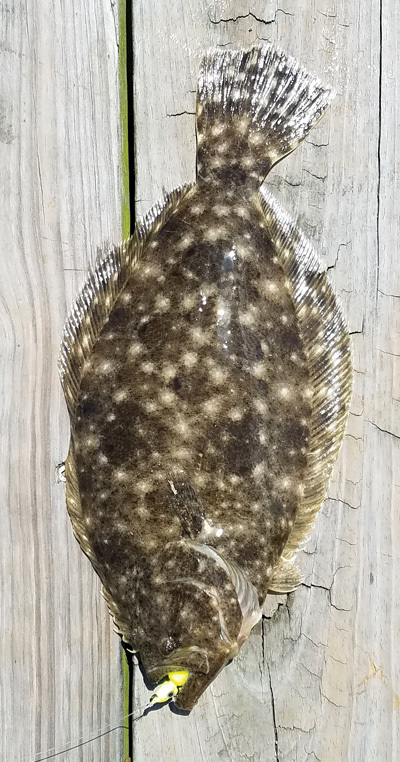 For newcomers and those not seasoned at saltwater fishing, I always recommend using live bait, especially shrimp when fishing. Hooking live shrimp involves practice and experience. 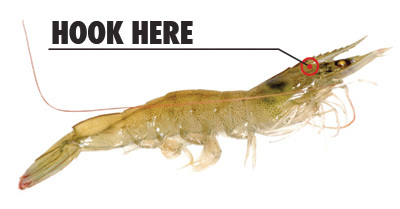 There is a small area under the horn on the shrimp’s head that is the appropriate spot to hook the bait. 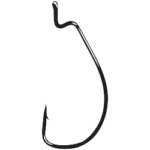 Using too large a hook or hooking the shrimp anywhere else is going to kill the bait and render it in the same category as dead bait. 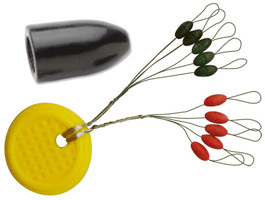 Use a number 6 or 8 treble hook or a small live bait or kahle hook. Once you have become comfortable with your casting skills and can hook live bait properly, then you are ready for the easier parts of this lesson. A light southeast breeze is usually best on the upper coast. 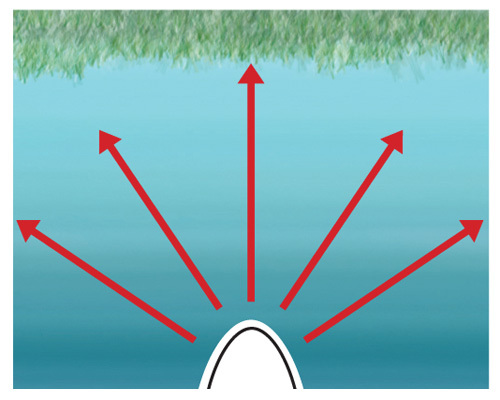 Tide movement and water clarity are of utmost importance in triggering feeding among schools of fish. Once you see those elements come together then you can start looking at the wind direction. 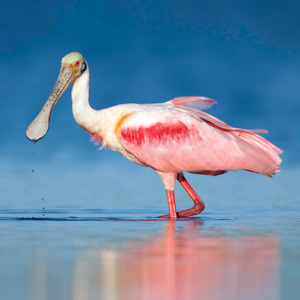 Along the Texas Gulf Coast, the southeast wind is called the fishermen’s breeze as it brings clear Gulf water into the bays and along the beachfront. This is a big plus when choosing a time to go fishing. The so called 10% group takes time to plan their trips and, based on the forecast, they know what the odds are for a productive excursion. 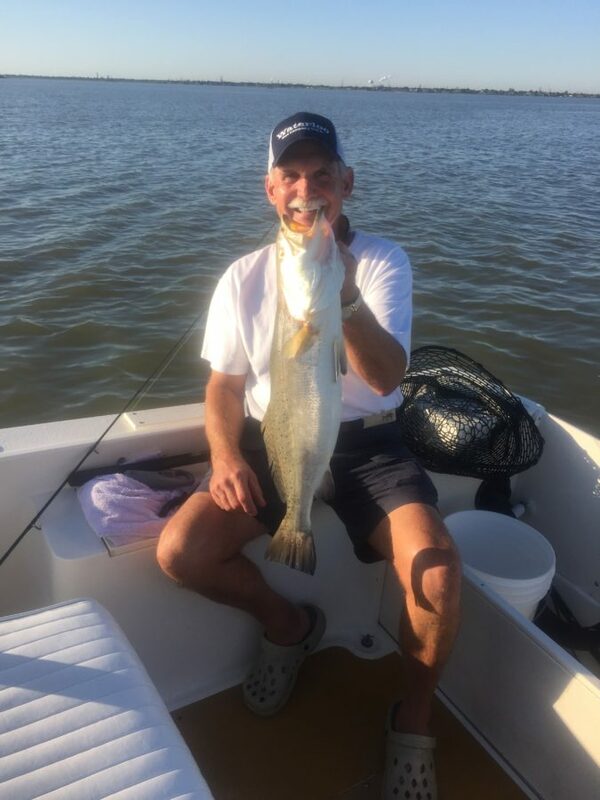 Most of the seasoned anglers limit their fishing to given areas that they tend to get to know well and learn where the fish will be at a given time. Concentrating on a particular bay, the jetties or surf can do wonders for your confidence. Patience is a major key to success. Guides and other experienced fishermen choose a spot and will stay there knowing that the fish have appeared there regularly while often having to fight boredom themselves and the impatience of their guests. 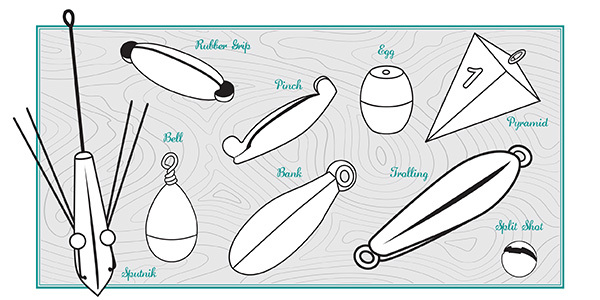 There is no way anyone can expect to take home a big stringer of fish on each trip; however, following the steps mentioned above you should greatly enhance your chances of increasing your odds of catching fish when hitting the water.